Set in the Capitale in the heart of NYC, the ball will be a marvel of glamorous attendees with a costume contest to revel in! 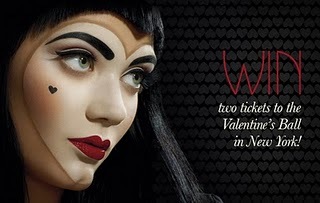 In celebration of the launch of our Throb collection, Illamasqua are the proud sponsors of the evening and we had two exclusive tickets to giveaway for one lucky winner and a friend! 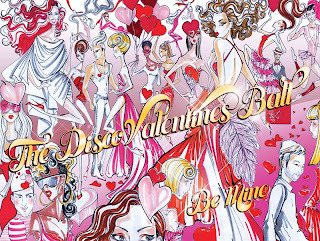 After hundreds of entries to the competition, the tickets value was certainly affirmed and we are very pleased to announce that the winner of the Valentine’s Day Ball tickets is…..Samantha Tse! Samantha is ecstatic to have won this once in a lifetime opportunity and will be attending alongside the likes of Kelly Cutrone of People’s Revolution and Joe Corre, Illamasqua’s Joint MD has also jetted out to New York to attend this VIP event! A big congratulations to Samantha from all at Illamasqua…we can’t wait to see the pictures!